The first dance...such a special moment at any couple’s wedding reception. As the bridal party, the families and all of the invited guests look on the bride and groom dance for the first time together as husband and wife. This couple perfectly executed a professionally choreographed dance in front of the partygoers. Having taken lessons from a professional dance instructor prior to the wedding date they were well rehearsed in performing in front of the intimate crowd. 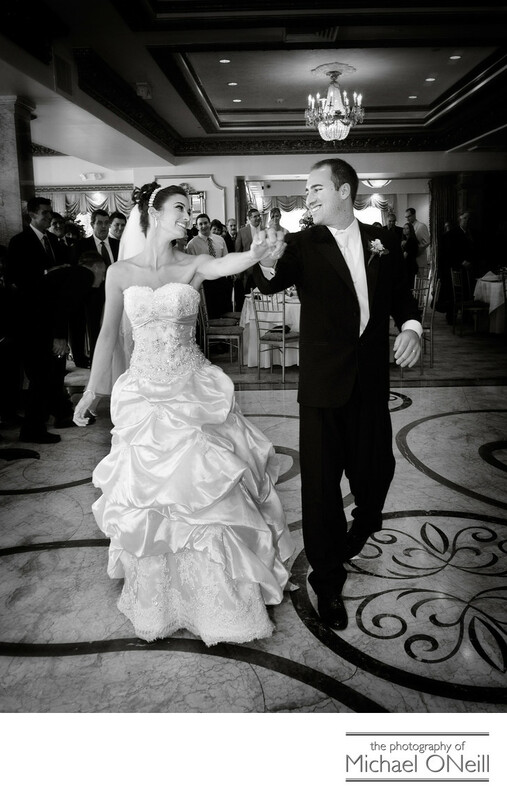 Many brides and grooms seem to be embracing this practice of elegantly performing for their first dance as a married couple. I just love the way the couple have their eyes fixed on each other in a loving, proud fashion. You can just feel the emotion between them as they start their new life together. This image was captured at their reception venue, The Venetian Yacht Club in Babylon, NY one of Long Island’s finest waterfront catering establishments. Located on the Great South Bay The Venetian offers panoramic views of the waterfront from both levels of the building. From the Hamptons to NYC a couple can choose between dozens of fine waterfront reception venues. I personally think that The Venetian is amongst the best.